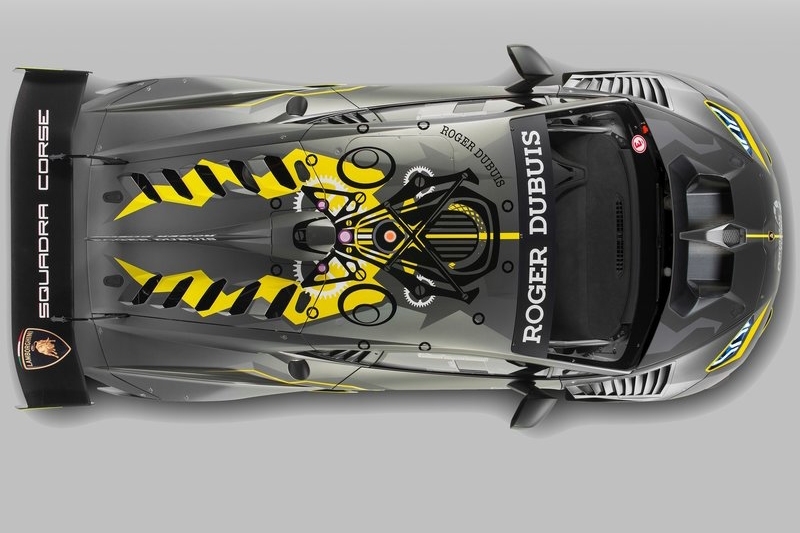 Lamborghini Squadra Corse, Automobili Lamborghini’s motorsport department, simultaneously unveiled the new Huracán Super Trofeo EVO and a new partnership with Swiss luxury watchmaker Roger Dubuis, at an exclusive event in Sant’Agata Bolognese. 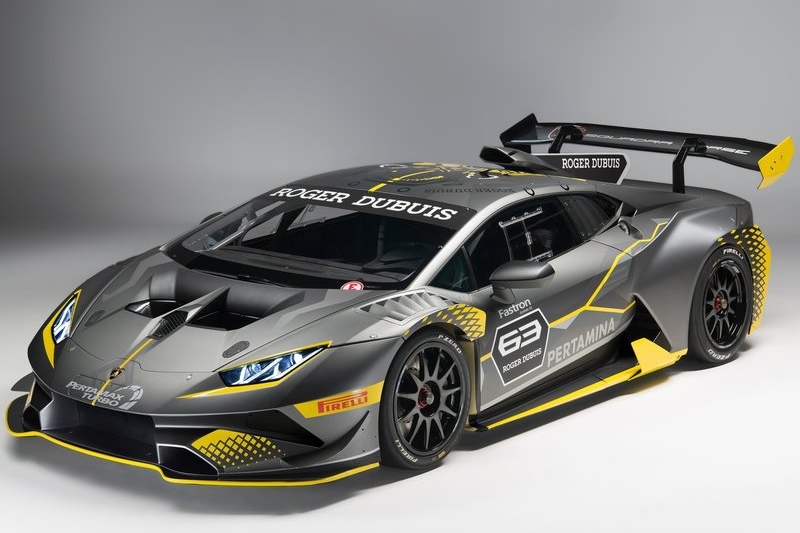 Improving on the outgoing Huracán LP620-2 Super Trofeo, the Huracán Super Trofeo EVO features entirely redesigned aerodynamics, new safety devices, as well as several improvements in the mechanical and electronic fronts. Carbon fibre features heavily in the production of the body kit, which has undergone a complete redesign – save for the flat floor, front splitter and rear diffuser. 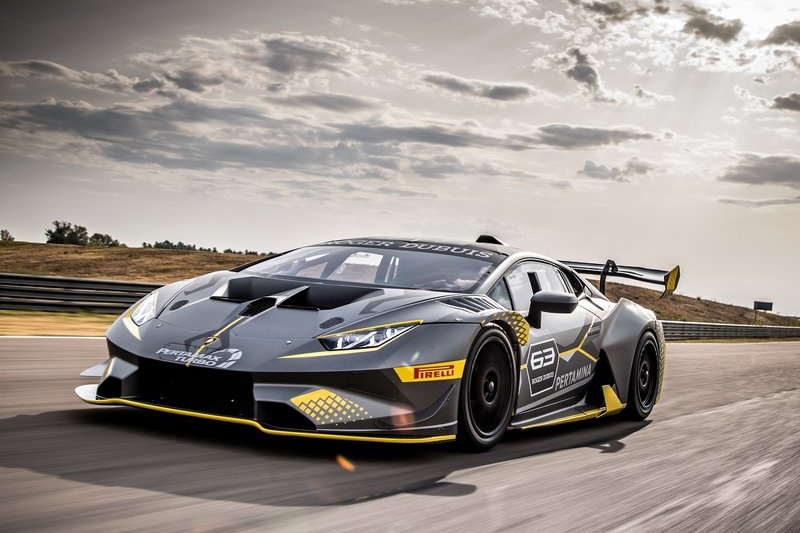 This redesign results in an 8 percent increase in overall aerodynamic efficiency, reflected in the Super Trofeo EVO’s ability to go around the Monza track in 1.5 seconds less. Advancements in safety come in the form of driving stability – largely aided by the aerodynamic improvements – as well as a new element borrowed from the Huracán GT3 car. 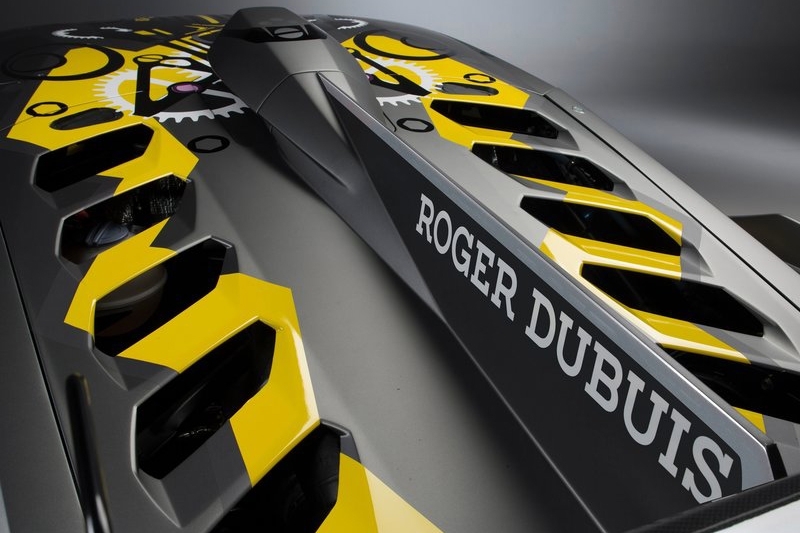 The roof hatch, first introduced to the Huracán GT3 in order to comply with regulations, is now fitted to the Super Trofeo EVO to allow the driver a quick escape should the car land on its side. 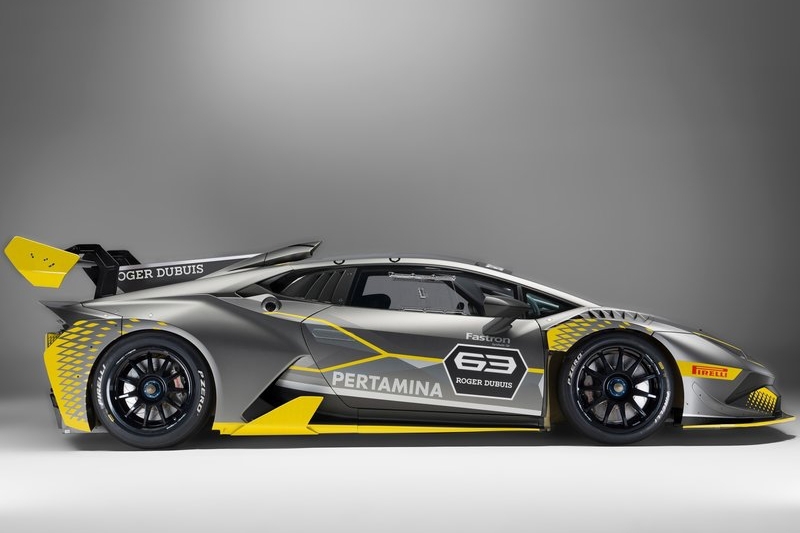 The livery of the Huracán Super Trofeo EVO has been designed by Lamborghini Centro Stile to reflect the Lamborghini Squadra Corse-Roger Dubuis partnership, with a Titan Grey base colour symbolizing both brands’ shared values. 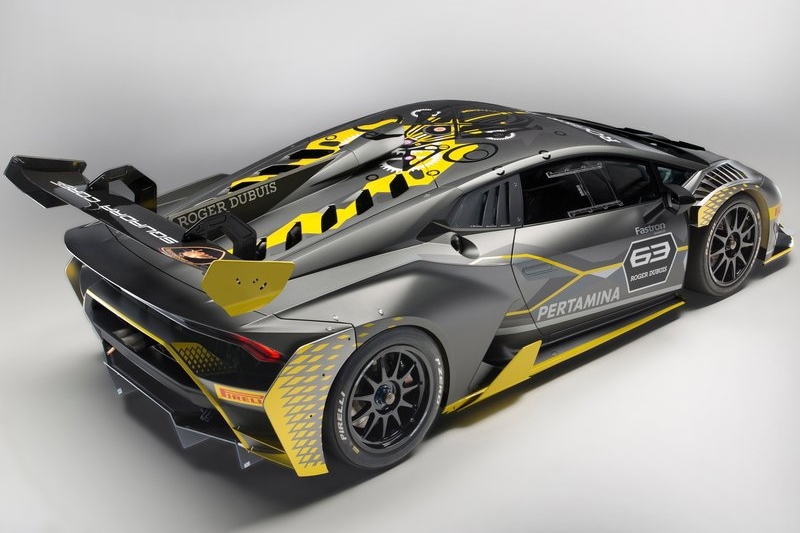 Debuting on track in March 2018 in three continental series of Lamborghini Super Trofeo – Europe, Asia and North America – race teams will be able to purchase the Huracán Super Trofeo EVO for €235,000.